Council for International Relations – Palestine (CIR) condemns Australia’s recognition of Jerusalem as the capital of the Israeli occupation, saying it is a provocative and dangerous step that would further complicate the current situation and instability in the region. In a statement issued on Sunday, the CIR said the timing of the Australian recognition comes in light of the ongoing Israeli aggression against the Palestinian people, the continued killing by the occupation forces in the West Bank and the assault on peaceful demonstrators in the Gaza Strip. In its statement, the Council called on Australia to reverse this recognition and abide by the outcomes of international law, and also called on Arab and Islamic countries to sever their relations with Australia to pressure it to back down from this recognition. 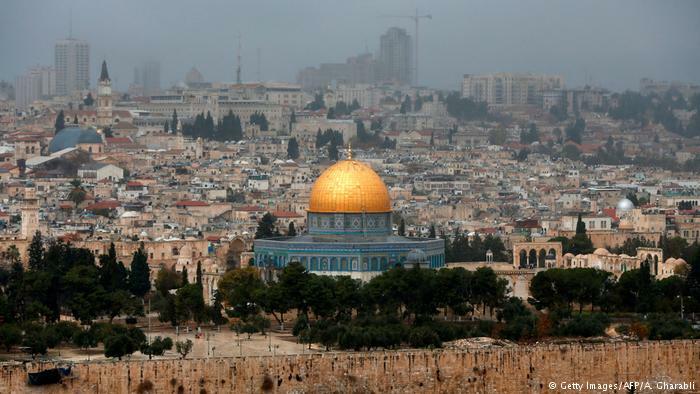 Australian Prime Minister Scott Morrison said Saturday that his country officially recognizes West Jerusalem as the capital of Israel, reversing a policy it has pursued in the Middle East for decades, but will not immediately transfer its embassy there. Council on International Relations – Palestine held a dialogue meeting about the reasons behind transformation of India’s positions towards Palestinian issue Tuesday morning in Gaza City. The council hosted Mr. Feroze Mithiborwala, the Founder General Secretary of the India Palestine Solidarity Forum, who spoke from Mumbai, India. Feroze spoke about the far-right alliance between BJP and Israeli Prime Minister Benjamin Netanyahu, which is part of the trend in the Middle East region where the Gulf Monarchies and certain right-wing Islamic parties are allied with Israel. Speaking of the history of the relationship between Palestine and India, Mithiborwala said that the relations go back to before India’s independence in 1947, pointing out that India has always voted for Palestine. But the dramatic change in Indian politics began in 1990 when the Soviet Union collapsed. That time, India began to move toward America and Israel and sought to reorganize its strategic relations in order to find a place in the map of the New World order. Later, Israel took advantage of the singing of the Oslo Accords to improve its relations with several countries including India, he added. Feroze pointed out that one of the most important factor between India and “Israel” is the issue of Kashmir exploited by the Americans and “Israel” to engage deeply in the Indian Peninsula. He thus stressed on the need for governments and peoples in India and Pakistan to reach a solution to the Kashmir issue because many put the issues of Palestine and Kashmir In the same box, and what is required is the separation between both. The issue of Palestine and Kashmir are very different in their genesis andd their political solutions are also very different. “Israel” is the last to “help” India to resolve the issue of Kashmir, as an occupying state that practices persecution against the Palestinian people, he said. On Netanyahu’s recent visit to India, large demonstrations were held across the country, calling for NETANYAHU TO GO BACK! Turning to the solutions, Feroze said that India is required first to build a strong movement within India on the issue of Palestine because the freedom of the World is linked to the freedom of Palestine. Secondly, launching a boycott movement against “Israel” similar to the boycott movement in the world. Thirdly, communicating with Bollywood because of its importance in the Arab world as well as working at the level of Asian countries to unite to support the Palestinian cause. As for the Palestinian, Feroze pointed out that the Palestinian forces and parties are required to interact more with the Indian people and to bring more Palestinians to India to talk about their struggle and their suffering. He called on the Palestinian Authority and the Palestinian embassy in India to play a more active role and to communicate more with the Indian government, parties and social movements. Council on International Relations in Palestine praised the report (E/ESCWA/ECRI/2017/1) published by the U.N. Economic and Social Commission for Western Asia (ESCWA) on Wednesday. In a press release, the CIR welcomed the report that accused “Israel” of imposing an “apartheid regime” of racial discrimination on the Palestinian people. The council said that what the report included the Palestinian people confirmed for ages through the facts on the ground and the crimes committed by the Israeli occupation. ” This Israeli apartheid regime is destined to end as the apartheid regime in South Africa ended” the CIR added. The council called on all countries around the world to adopt the report and to isolate this regime. On Wednesday, the U.N. Economic and Social Commission for Western Asia (ESCWA) accused in a report (E/ESCWA/ECRI/2017/1) “Israel” of imposing an “apartheid regime” of racial discrimination on the Palestinian people, and said it was the first time a U.N. body had clearly made the charge. Council on International Relations – Palestine considered nominating war criminal Tzipi Livni for a UN senior position as an unprecedented incident that shocked the Palestinian people in general, the victims in particular bearing in mind that Livni is accused of committing war crimes against humanity in the war Israel waged against Gaza in 2008-2009. The council said in a press release issued Wednesday that nominating Livni contradicts with the lawsuits filed against her in several European countries in which a judicial decision taken to arrest her for committing war crimes. ” Livni, who studied law, once said 10 years ago as a minister of Justice: ” I am a lawyer… But I am against law – international law in particular. Law in general”. This proves that she doesn’t respect the international law and ignores the basis for which the United nations established including ” maintaining the international peace and law”, the council explained. CIR added that such an issue would put the UN in an awkward position that let it lose its incredibility as the sponsor of peace and guard of justice. This would make the world far away from brining justice for the oppressed people. The council called for holding the Israeli war criminal accountable and bringing justice instead of rewarding them. American writer Jeremy Hammond has told a seminar organised by the Council on International Relations that US aid to Israel “cannot continue.” He made his comment during the event entitled “America is an obstacle to peace”, at which the discussion looked at the prospects of the US-Palestine relationship under the Trump administration. The council’s head, Dr Bassem Naeem, welcomed the audience and emphasised the importance of highlighting the consequences of US attitudes and behaviour towards the Palestinians during Trump’s presidency. This is especially so in light of the controversial statements made by the new president before and after he won the election in November. Hammond pointed out that the US is supporting Israel financially and economically, and has increased its annual aid to $3.8 billion. He added that Washington has also promised Israel substantial loans from US taxpayers’ money. The winner of the Independent Political Analyst Award stated that the US is a Zionist state in the nature of its composition and that many Americans support Israel on a religious and ideological basis. Hammond also said that Israel’s crimes are committed with various US-made weapons and America’s diplomatic support. This is highlighted by the US use of its veto at the UN Security Council in votes on a number of international resolutions condemning the Israeli occupation. He added that the US definition of the peace process is the prevention of the two-state solution and the prevention of international law being enforced against Israel. He noted also that the Palestinian Authority serves Israel. Hammond explained that the US couldn’t continue to officially support Israel because there has been a shift in public opinion, which wants to limit such support. While noting that the PA is serving the occupation, he suggested that President Mahmoud Abbas, has benefitted from the status quo in a personal capacity. Despite the fact that he was elected as president, he rejected Hamas’s election by democratic means. “The Palestinian people must replace Abbas with a new leadership that works on changing the current situation in order to liberate themselves from the occupation,” said the political analyst. This, he added, is part of a media war waged by Israel and its defenders. “There is oppression being exercised against the Palestinians but it is not mentioned in the US media. They do not know the facts about the Palestinian-Israeli conflict.” He concluded by saying that the Palestinians must increase their media efforts in order to reach the ordinary American citizens and refute the dominant pro-Israel narrative. Council on International Relations in Palestine welcomes the European Union ambassadors who will visit Gaza Strip tomorrow to discuss many topics on top of that Economic and living situation. The council calls on the ambassadors to transform words and visits into actions and resolutions to put pressure to end the siege and suffering of 2m people living in 365km2 in Gaza. Council on International Relations in Palestine praised building the biggest Palestinian museum in the world in Cape Town, South Africa. Dr. Basem Naim, head of CIR, called the Founder of the museum Dr. Anwah Nagia and thanked him in the name of the Palestinian people for building the museum, and for the creativity he made to show solidarity with Palestine and its people, inviting him to visit Gaza soon. Dr. Anwah told Naim that this museum will not be the last of his projects to support the Palestinian issue as he plans to launch more strategic projects, considering this work as a must for every free human believing in justice. Nagia’s project was confronted by several obstacles by the Zionist lobby as the museum is located only 2km away from the “Jewish Holocaust Museum” in Cape Town. However, Zionist attempts failed to spoil the project after Dr. Nagia won the case sued by the Zionist lobby. After years of setbacks, The first Palestinian museum on African soil to life has finally come to fruition. The eight storey Human Rights Centre and the Palestinian Museum is now reality. 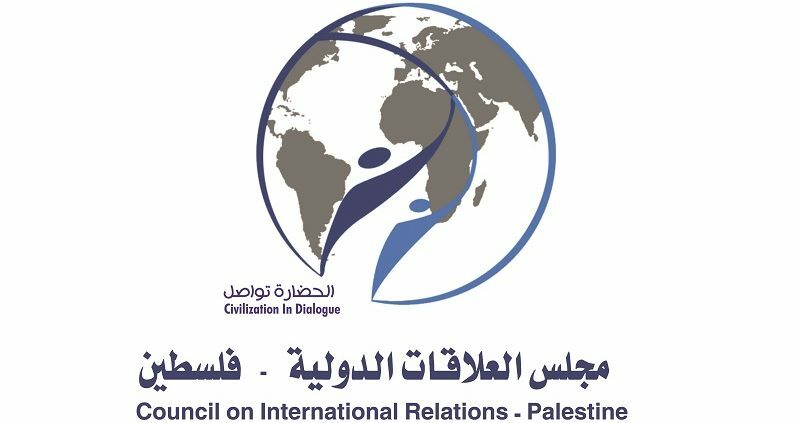 Council on International Relations in Palestine condemns ICC delegation for its acquiescence to the Israeli occupation’s terms, and accepting to be banned from visiting the Gaza Strip during its six-day trip in the region. It’s a shame that the meeting of the ICC with the victims turns to only a ” cultural and academic meeting” via Video Conference. The council calls on the ICC delegation to refuse the occupation’s dictations, and to visit the Gaza Strip, the crime scene of the Israeli crimes committed through the last few years represented in three wars and ongoing siege.